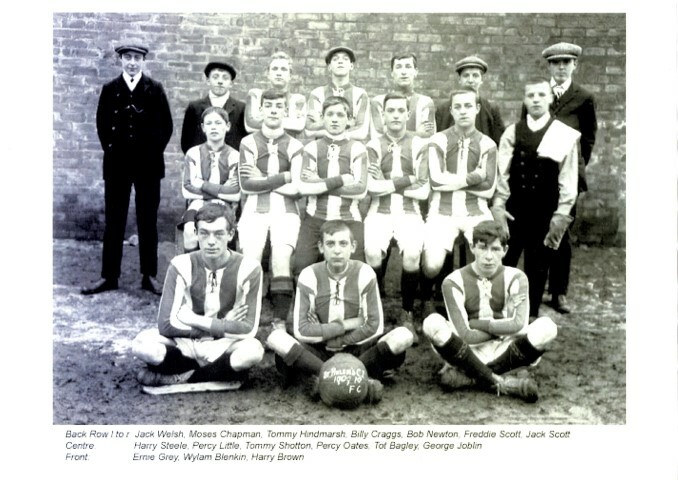 St. Helen’s Colliery Institute F.C. This “article” will provide by way of an introduction a brief account of the village and the colliery and then research the lives of the above named 16 men including a brief family background and where known, service details and further information of their “life and times.” No attempt will be made to draw conclusions or make value judgements, this is simply an historical exercise to research their lives with no other purpose than to acknowledge, celebrate and commemorate these men. buildings to the east – St. Helens Hall, originally built c.1610  and the stables to the north (now converted to another dwelling). The original Bishop Auckland to West Auckland road weaved between the church and the Hall until a new road was laid out in the early 1930’s. The vicarage, a substantial building was built in close proximity to the church. The primary school is located next to the vicarage to its west. Front Street, at sometime called Church View developed opposite the church. The Square, a conglomeration of 3 terraced rows named Leases Terrace, Whitwell Terrace and Pease Street were homes for miners, prior to 1859. West Auckland and St. Helen’s Collieries commenced within a few years of each other. 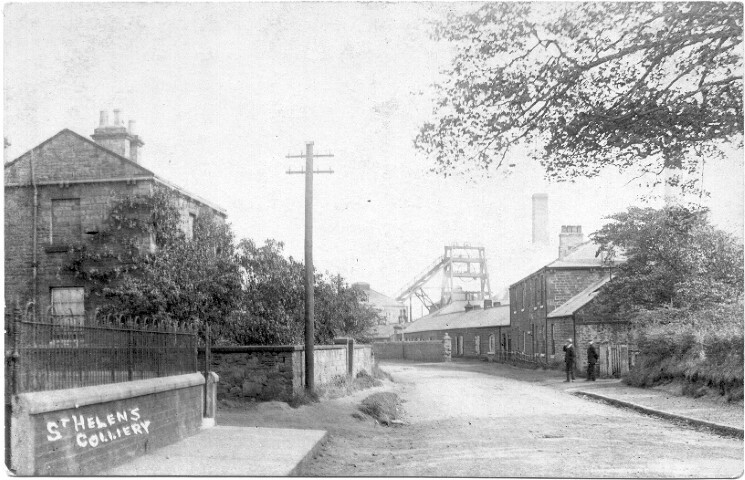 West Auckland Colliery was worked by Block & Vaughan, St. Helens by Pease and Partners thus with a street bearing the name of Pease it is assumed that workmen from St. Helen’s Colliery originally lived in these houses although West Auckland Colliery was closer. Terraced houses leading westwards towards the West Auckland Colliery and the village of West Auckland were built after 1899 for example additional houses in Front Street, Leslie Street and Stanley Terrace. To the east nearer St. Helen’s Colliery and a farm named “Shades Barn” terraced houses were built sometime after 1899 – Maude Terrace, Dale Street, Musgrave Street, Louisa Terrace and the Aged Miners Cottages. In effect, this was a separate community from “old” St. Helens. The St. Helen’s Colliery Institute was built after 1899. The Bishop Auckland Co-operative Society occupied premises along the main road along from Maude Terrace. Whether the Co-op purchased the Institute or built alongside it is unknown. There were also a number of homes in close vicinity to the colliery – the 1911 census lists St. Helen’s Colliery and Fan Blast as locations for houses but the exact situation of these is unknown to the author. It seems likely that there were houses to the south of the main Bishop Auckland to West Auckland road at the entrance to the colliery unless, of course, this whole new housing development was known as St. Helen’s Colliery. The St. Helen’s Colliery tramway was built from the foot of the Brussleton Incline, part of the Stockton and Darlington Railway and was later extended to connect into Woodhouse Colliery, a short distance to the north east. As the Auckland Coalfield was developed further, the expansion of railways northwards and westwards took place. The physical barrier at Shildon was overcome by boring a tunnel through the hillside and down to Bishop Auckland. The tunnel was opened in 1842 and in 1843 the railway was extended from Bishop Auckland to Crook. In 1847, a line to Frosterley in Weardale was built and in 1857 the Bishop Auckland to Durham line was opened. A line from Bishop Auckland to Fieldon Bridge (near St. Helen’s Colliery) connected the new line from the north end of Shildon tunnel to West Auckland and the Haggerleases Branch beyond. The Tunnel Branch was opened in 1856 and rendered Brussleton Incline redundant thus St. Helen’s Colliery was connected to the rail network by locomotives rather than horse drawn power and the stationary engine at Brussleton. The 2nd OS sheet dated 1897 shows extensive railway sidings to the south of St. Helen’s Colliery and an engine shed at Tindale Crescent, some way to the east. The railway engine shed was opened in 1887. By 1896, there were 65 coke ovens at St. Helen’s Colliery and the annual output was 120,000 tons of coal. At this time, 386 men worked there. By 1914, the colliery employed 696 men. This section provides some details of the men in the football team photo. The first name relates to the various census details and the second name, in brackets, relates to the spelling as annotated on the photograph. All children were born at St. Helens. In 1901, the family lived in the Square but by 1911 they had moved to Maude Terrace. At this time John junior worked as a coal miner, a driver, working underground leading pit ponies hauling coal tubs from the coal face to the shaft bottom. John Welch served in the Army during the Great War. He enlisted 8 January 1915 serving 4 years 73 days. He had been in the Territorial Army  serving as a private (no.1796) in the 2nd Northumbria Field Ambulance as a stretcher bearer. His Attestation Form indicates that he was then aged 21 yrs. 8 months, stood 5ft 10” and weighed 12st 7lbs. He was employed as a coal miner working at St. Helen’s Colliery. His religion was Church of England. A re-oganisation of the Army medical services seems to have taken place and he was given a new regimental service number – 388338. He was a private in the 2nd Northumbrian Field Ambulance Royal Army Medical Corps, T.F. He arrived in France 28 May 1915  and was attached to the 50th Northumbrian Division and 446 Field Company, Royal Engineers from the 29 June 1915 to 8 October 1918. During his service of over 4 years he appears to have enjoyed only 36 days leave. He was admitted to hospital in Wimereux, Etaples then Rouen between 6 August and 11 October 1916 before rejoining the 2/2 Northumbrian Field Ambulance “in the field” 12 October 1916. This unit was attached to 446 Field Company, Royal Engineers. He was admitted to the Northern General Hospital, Newcastle 22 October 1918 for 14 days suffering from a hernia. On the 14 December 1918 he was transferred to the Army Reserve then discharged as surplus to requirements 21 March 1919. 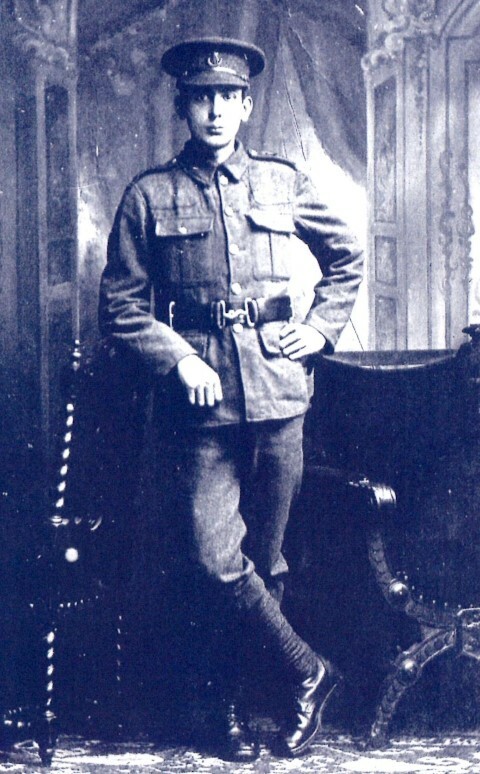 Private John Welch was awarded the 1914-14 Star, the British War and Victory medals. The 50th Division arrived in France and Flanders in April 1915 and saw action immediately in the Second Battle of Ypres then in 1916 the Battle of the Somme (Flers-Courcelette, Morval, Transloy Ridges); 1917 the Arras Offensive and the Second Battle of Passchendaele and in 1918 the German Spring Offensive on the Somme and the Lys and the Battle of the Aisne. The Division took part in the 3 major battles against the German offensives in 1918 and suffered heavy casualties. It was not until October that it was strengthened sufficiently to enter the field when the Division took part in the Battles for the Hindenburg Line and the Final Advance into Picardy. Demobilisation began December 1918 and the service of the Division came to an end on 19 March 1919. There can be no doubt whatsoever that Jack Welch, serving as a stretcher bearer throughout much of the war was involved in many of the serious hostilities and must have witnessed horrific scenes. In September 1927 John married Ann Ayre. He died in March 1972. No further research has been undertaken. In 1911, Moses lived with his older brother Frederick and his family at Maude Terrace, St. Helens. By this time 18 year old Moses was a coal miner, a putter. Frederick was a check-weighman, the workmen’s weighman which was an important job in the pit, achieved by a ballot of his fellow workmen. Fred was married to Elizabeth (nee Blenkin) who had also lived at Binchester at the turn of the century. Elizabeth’s younger brother was Wylam Blenkin who appears in the St. Helen’s Institute photograph. Frederick and Elizabeth took responsibility of looking after Moses when his mother Isabella died in 1896. Moses Chapman and Wylam Blenkin were close friends. Moses was Wylam Blenkin’s best man. Mary and Wylam had 2 children, Bobby and Freda. Moses and Mary had 2 children themselves, Elizabeth (1920-2005) and Frederick (1922-2009). In 1901, the family lived at the Square. In 1911 it is recorded that they lived at Whitwell Terrace  which was one of the terraces that made up the Square. All the sons of working age and their father were employed as coal miners. A Tom Hindmarch (born 3 May 1890) died in 1974 aged 84 years. His death was registered June 1974 at Auckland. This person could be the footballer. 51928 Fitter T.J. Hindmarch “B” Battery 50th Brigade, Royal Field Artillery died 25 July 1916 aged 22 years. He is believed to have enlisted in Durham. His service records are unavailable. There is no T. Hindmarch commemorated on the St. Helens Institute War Memorial cottages tablets or the West Auckland Memorial Hall Roll of Honour. However, there is a T. Hindmarch commemorated on the Roll of Honour held at St. Anne’s Church, Bishop Auckland and inscribed on the War Memorial in St. Andrew’s churchyard, South Church, Bishop Auckland. The family of the above Thomas John Hindmarch are known to have moved to Clarence Gardens, Bishop Auckland. The 1911 census confirms that an Andrew, Mary, Alfred and Arnold Craggs lived at Louisa Terrace, St. Helens but there was no William or Billy resident at that time. The nearest name and location is Joseph William Craggs, 15 Queen Street, Witton Park, the son of Ralph and Elizabeth. Ralph was a mason and builder and 19 year old John William was a mason. It is possible that he was known as Billy. Further research is required to identify this person. There are at least 14 servicemen with the name William Craggs and at least 2 Joseph William Craggs who served in the Great War. Without more details of Billy Craggs and further research it is impossible to find a link based on the information to hand. There are several servicemen bearing the name of Robert Newton who served in the Great War. Without more details of Bob Newton and further research, it is impossible to find a link based on the information to hand. He was deemed to be surplus to military requirements 14 December 1918. The Medal Roll card index has not been traced. In 1901 the family lived at 42 Windlestone Colliery, Chilton and by 1911 the reduced family lived at 5 Maude Terrace, St. Helens. George was a widower and only George Harold (Harry), Thomas and Elizabeth lived at home together with Annie Lamb (the housekeeper) and her son Thomas. Harry was by then, 17 years old and worked as a coal miner (a driver). There are many people with the name Harold Steel who served in the Great War and without further research and more details of Harry Steel, it is impossible to find a link based on the information to hand. Total: 126 Other Ranks and 2 Officers. Private Percy Little was recorded as “Missing” from 27 May 1918 and it was not until 25 June 1919  that it was formally accepted that he was dead. His mother would have initially hoped that he had been taken as a Prisoner of War but after the Armistice when no news was heard then the sad reality of the situation was inevitable. 81297 Private Percy Little was awarded the British War and Victory medals. He is commemorated on the Soissons Memorial, France. The Memorial commemorates almost 4,000 officers and men of the United Kingdom who died during the battles of the Aisne and the Marne in 1918 and who have no known grave. Private Percy Little is also commemorated on the tablet on the Memorial Cottages at Maude Terrace, St. Helen Auckland which were erected by the St. Helen’s Colliery workers and Messrs. Pease & Partners Ltd. As a memorial to those who fell – 37 workmen laid down their lives. The Memorial Cottages were opened 12 November 1921. Thomas Shotton was born c.1891 at Fylands Bridge (Parish of St. Andrews Auckland ), Bishop Auckland, County Durham, the son of Joseph and Margaret Shotton. In 1901 the family lived at Fylands Bridge, a community housed on the banks of the river Gaunless, north of Tindale Crescent on the road to Shildon. Joseph was a coal miner (hewer). By 1911, the family had moved to Burnopfield in north Durham. By this time, 19 year old Thomas was employed as a coal miner (hand putter). It is therefore assumed that the family moved some time between 1909 and 1911. There are at least 12 servicemen with the name Thomas Shotton who served in the Great War and without further research and more details of Tommy Shotton, it is impossible to find a link based on the information to hand. Thomas born c.1894 at West Auckland. It is likely that because of his occupation as a coal miner, Thomas was kept in a Reserved Occupation for almost the duration of the war and was only mobilized in June 1918 when the German Spring Offensive was beginning to wear down Allied forces. By 30 September 1918, the tide was beginning to turn and possibly his services were not required. 16381 Private Robert Bagley, 6th battalion, the Yorkshire Regiment killed in action 7 August 1915 at Suvla Bay, Gallipoli, Turkey. He has no known grave and is commemorated on the Helles Memorial which bears more than 21,000 names of United Kingdom and Indian forces and Australians killed at Helles and those buried at sea in Gallipoli waters. 157781 Sapper William Hull Bagley, 177th Tunnelling Company, Royal Engineers who died 4 July 1917 and is buried at New Irish Farm Cemetery, Ieper, Belgium. By 1911, William was married to Jessie (nee Longstaff) and lived at 6 Maude Terrace, St. Helens with their 7 month son, Sylvester. Both Robert and William are commemorated on the tablets on the St. Helen’s Colliery Memorial Cottages erected by Pease & Partners Ltd. and the colliery workmen and also on the Roll of Honour in West Auckland Memorial Hall. George Jobling served in the Great War. 205112 Private George Jobling served in the 4th battalion, the Northumberland Fusiliers and as 302888 in the Tank Corps. His Attestation Form for those in the Army Reserve is dated 15 August 1917 when aged 25 years 3 months he lived at 8 Musgrave Street, St. Helens. His medical history sheet indicates that when examined 28 February 1917 he stood 5ft 0½ tall and weighed 112 lbs (9st. 5lbs). The inside sheet indicates that he was deemed to have enlisted 2 February 1916 and was called up for service 18 May 1917, posted to Base Depot 14 August 1917 and to the B.E.F. 15 August 1917. He is recorded at Home between 18 May and 14 August 1917, France between 15 August 1917 and 25 December 1918. He was “in the field” 9 September 1917. He was transferred to the Tank Corps 5 April 1918. He was transferred to Class Z Army Reserve on demobilization 25 January 1919. Total service was reckoned to be 2 years 328 days. The 4/Northumberland Fusiliers formed part of the 149th Brigade, 50th (Northumbrian) Division  which from September 1917 (when Private George Jobling joined them) saw action during the Third battle of Ypres otherwise known as Passchendaele 31 July to 10 November particularly the Second Battle of Passchendaele and in 1918 during the German Spring Offensive, the Battles at St. Quentin (21-23 March), the Somme Crossings (24-25 March), Rosieres 26-27 March)  before he was transferred to the Tank Corps in April 1918. Details of his company in the Tank Corps are unknown but tanks were involved in many actions particularly from 8 August until the end of the war. There can be little doubt that Private George Jobling would have seen plenty of fighting during his 14 months “in the field”. There are many people with the name Ernest Gray who served in the Great War and without further research and more details of Ernie Gray, it is impossible to find a link based on the information to hand. By 1901, 10 year old Wylam lived with his 28 year old sister Margaret who had married William Harrison and their family at 13 Granville Terrace, Binchester Blocks. By 1911, the Harrison family had moved to 8 Louisa Terrace, St. Helens. Wylam, now aged 20 lodged with them and he was employed as a coal miner (putter). In 1912, Wylam married Mary Elizabeth Dunn and they had 2 children, Bobby and Freda. Wylam Blenkin served with the 12th battalion, the Durham Light Infantry. He was killed in action 19th October 1917 and has no known grave. He is commemorated on the Tyne Cot Memorial. The Medal Roll shows that Private Wylam Blenkin’s regimental number was formerly 3525 – he could have been a “territorial”. He was awarded the British and Victory Medals which infers that since he was not awarded the 1914-15 Star, he did not enter France until after 1 January 1916. Being a coal miner, it could be that his services were not required until later in the war, being employed in a “reserved occupation”. He was also a married man with 2 children. Privates Conway and McPeak and Serjeant Taylor are commemorated together with Private Blenkin on the Tyne Cot Memorial along with almost 35,000 officers and men whose graves are unknown. Private Wylam Blenkin was a casualty of the “usual violence of warfare” when on the evening of the 19 October 1917, the 12/DLI encountered German artillery shelling. He has no known grave therefore it must be concluded that his body was consigned for eternity to the Flanders mud. Private Wylam Blenkin is also commemorated on the tablet on the Memorial Cottages at Maude Terrace, St. Helen Auckland which were erected by the St. Helens colliery workers and Messrs. Pease & Partners Ltd. As a memorial to those who fell – 37 workmen laid down their lives. The Memorial Cottages were opened 12 November 1921. Without further details of Henry Brown, it is not possible to state categorically whether or not he served in the Great War. Photograph provided by Frank Sanderson which appeared in “Tindale Crescent & Fylands Bridge” Tom Hutchinson 2013. “Tindale Crescent & Fylands Bridge” Tom Hutchinson 2013 p.16. “Tindale Crescent & Fylands Bridge” Tom Hutchinson 2013 p.9. 1911 census: the name is spelt Welch rather than Welsh as in the 1901 census. Most military forms have the name spelt with a C rather than an S. Signatures are given with a C.
 1901 census – Moses aged 8 and Hannah aged 7? From conversation with Tony Hindmarch (Evenwood) the grandson of Harold Hindmarch, it is concluded that Tom S. Hindmarch was alive after WW1 since he remembers his father talking about Uncle Tom. 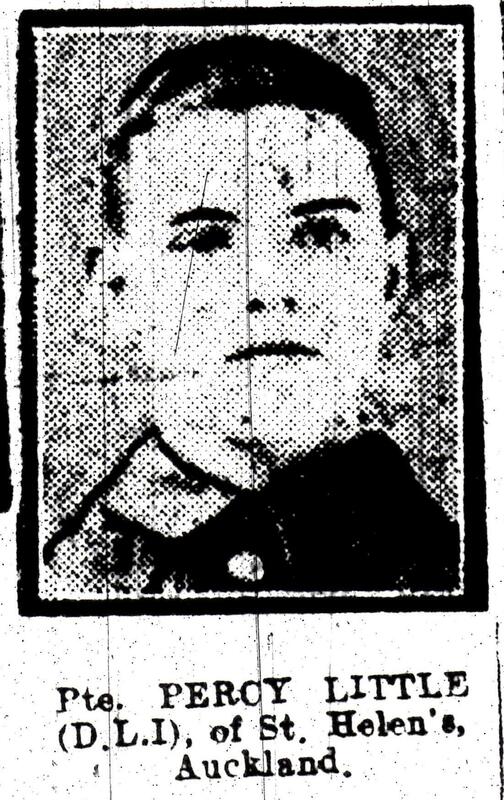 Thomas John Hindmarch is more likely to be the identified soldier.